Did you know that there are different ways to clean a carpet? 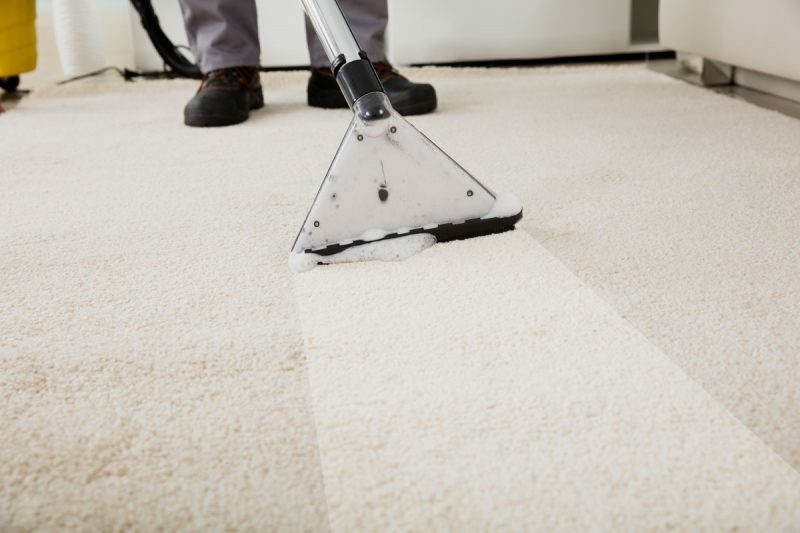 Host cleaning, dry cleaning, encapsulation cleaning and steam cleaning are the four popular methods to clean a carpet. Each technique has its unique advantages. You may have already heard of them by names such as shampoo cleaning, hot water extraction, dry foam cleaning or absorbent compound cleaning. If you are engaging a carpet cleaning service, you should be aware of what technique the company is going to use on your carpet. Here is a bit more about the popular carpet cleaning techniques. Host carpet cleaning is known by the name, absorbent compound cleaning. In this method, the carpet cleaner applies a wet absorbent to the carpet which attracts the dirt from the carpet. Later, he uses a special machine to agitate and buff the mixture. Sometimes later, the mixture is vacuumed up. The major advantage of cleaning your carpet with this method is, the carpet will dry up almost immediately. It is also relatively inexpensive. Dry cleaning is also called absorbent pad cleaning. In reality, there is no ‘dry’ cleaning. The carpet cleaner applies a liquid solution to the carpet which pulls the soil. Later, a machine soaks up the liquid, with the attached soil (thanks to a highly absorbent pad). After the pad gets soiled, it is changed. The major benefit of this process is it uses just a small quantity of water. The dry time is also very fast. Encapsulation cleaning is not applicable to home carpets. It is used only on commercial grade carpets, in offices. First, the carpet is treated with an encapsulating solution. This solution is then agitated with a special machine. As the solution dries, it crystallizes and absorbs soil particles. Then the crystals are vacuumed up. Encapsulated cleaning is recommended for carpets that have to be regularly cleaned. The major advantage of this type of cleaning is, some of the crystals will remain on the carpet. There, they will continue to absorb the soil particles, until the next cleaning. Steam cleaning is also called ‘hot water extraction cleaning’. Most carpet manufacturers recommend this technique for their carpets. Here is how it goes. First, the carpet is treated with a cleaning solution. Then the carpet is given a hot water rinse. Concurrently, a powerful vacuum removes the steam, the cleaning solution, and the attached soil. The dirt-laden water is removed to a waste tank. The major benefit of steam cleaning is that it sanitizes the carpet. To give your carpet a thorough cleaning, call in a professional London carpet cleaner. To learn how we can help you with carpet cleaning, please contact Top Cleaners today.